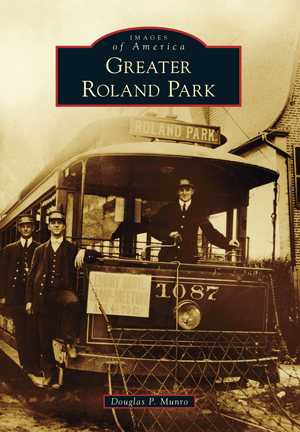 Developer Edward Bouton revolutionized American life with the creation of Roland Park, one of the country's first "streetcar suburbs," located in Baltimore, Maryland. Unlike many late-19th-century suburbs, Roland Park is well preserved, and many would consider it a late-Victorian version of Colonial Williamsburg. In the 20th century, Bouton also created Roland Park's sister developments: Guilford, Homeland, and Original Northwood. The latter two were developed after the heyday of the streetcar; in contrast, Roland Park without streetcars would have been unthinkable. Even now, trolley memories abound in the form of surviving old trackage and waiting shelters. Greater Roland Park explores the development of the suburb and its neighbors: Embla Park, Evergreen, Keswick, Lake Falls, Lake Roland, New North Roland Park, The Orchards, Poplar Hill, and Tuxedo Park. Douglas P. Munro has lived in the Roland Park area for a decade. He is the former Roland Park Civic League vice president and the current president of the Lake Falls Association. Many of the images from this book are drawn from the Baltimore Streetcar Museum, the Baltimore County Public Library, the Smithsonian, and local private collections.